Homemade refried beans are a lot easier to make than you think. The canned version can be loaded with extra ingredients to preserve the beans and typically leave an after taste. 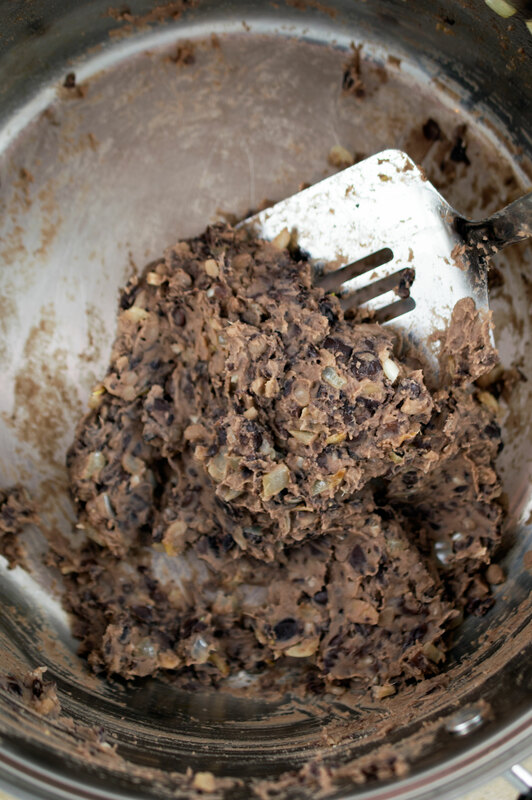 Making your own refried beans at home takes one thing…. BEANS! Who knew? When you think of refried beans you don’t always think about black beans. Refried beans are typically made with pinto beans. I choose to try the same technique but with black beans instead. I personally prefer the taste of black beans over pinto beans. To spruce up my beans I added some sautéed onion and garlic and topped the beans with sour cream, cilantro and a bit more onion. You could even add some heat with diced jalapenos, or keep it simple with avocado and queso fresco. The possibilities are endless! 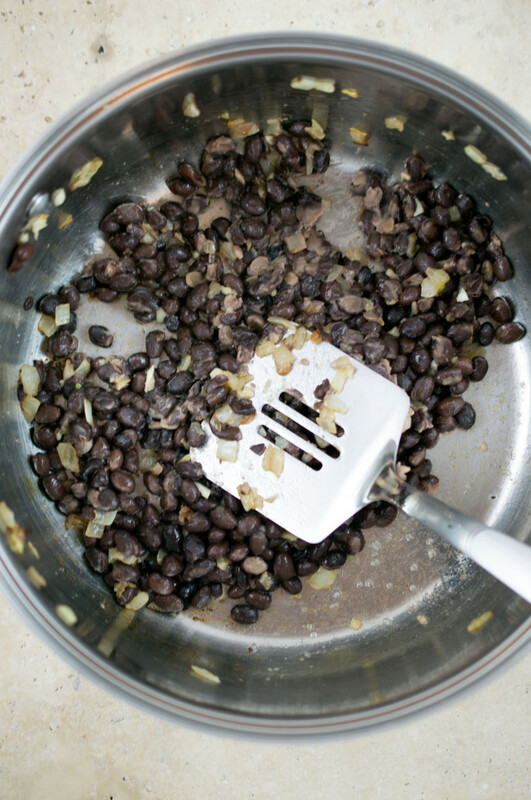 To make your own refried black beans start by sautéing onion and garlic until carmalized and add in black beans and mash away! I usually use the back of a spatula or a potato masher to get the job done. When mashing the beans make sure to leave some of the beans whole. You will end up with a chunkier texture. 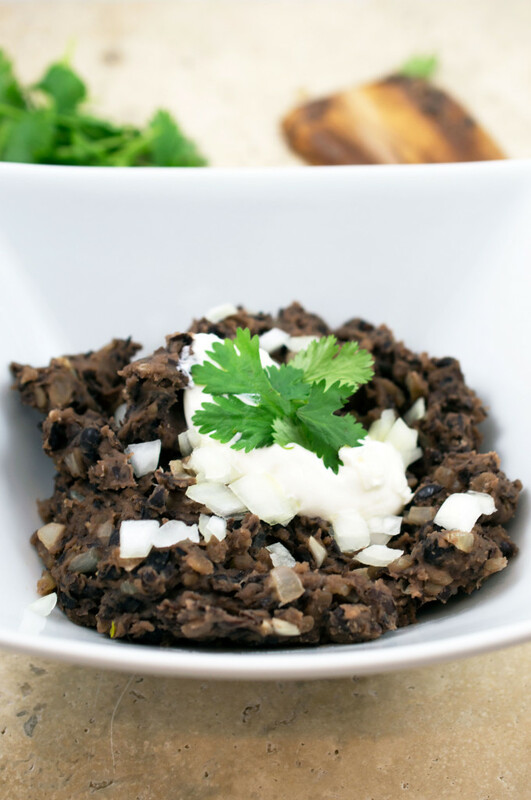 Top refried beans with sour cream, raw onions, and cilantro. You can even sprinkle some queso fresco on top! 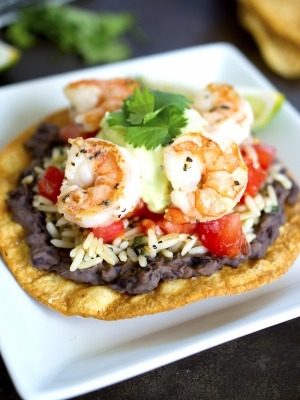 (All are optional) I love to layer my refried beans on tostadas or dip in my tortilla chips. Use this homemade method anytime your recipe calls for re-fried beans. Add olive oil to a medium saucepan and heat over medium-high heat. Add in diced onions and saute until caramelized about 2 minutes. Add in garlic and saute for an additional minute. Turn heat to low and add in the drained black beans. Mash the beans with the back of your spatula or with a potato masher. Make sure to leave some of the beans whole to keep a chunky texture. It typically takes about 4 minutes to mash the beans. 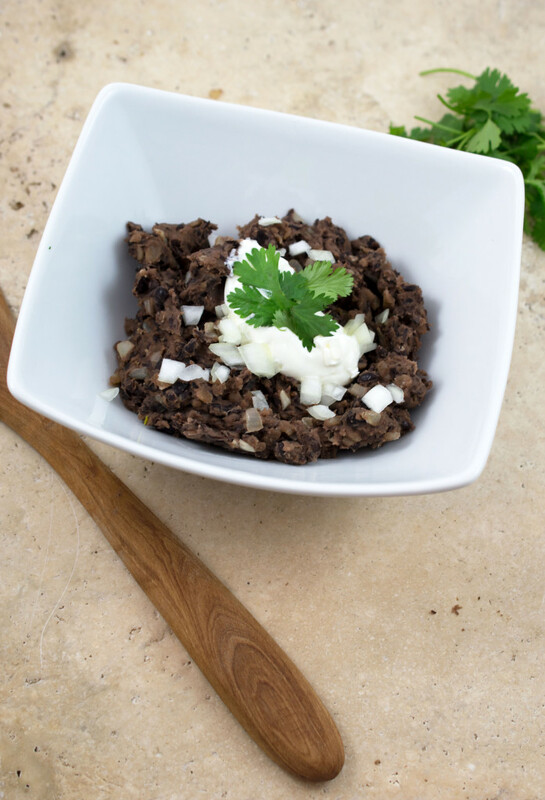 Serve the beans as is or top with cilantro, raw onions, sour cream, or queso fresco. 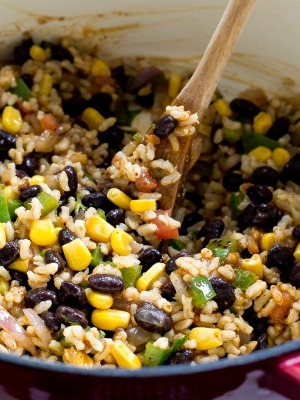 You made your black beans looks so good. I then scrolled through more of your recipes and you have a Mexican theme going. That would go over super well in my house. Thank you Peter! Yes, I am on a Mexican kick on the moment! We had these with a Mexican-spiced steak and rice tonight. They were very good. One quibble with the recipe: it’s not possible to caramelize onions in two minutes, but you can saute them and get, perhaps, a bit of color on them. Thank you for trying the recipe. So glad you liked it!